Jet Tila is a chef, culinary anthropologist, entrepreneur, and Food Network star. Jet has roots deeply embedded in the industry and ones that significantly establish him firmly in the artform he is most passionate about: storytelling through food. Born from the first Thai food family of Los Angeles, California – a family who established the first Thai markets and restaurants in the U.S.- Jet brings innovation and artistry into the traditional Thai food fold to create a signature style that is, at heart, his own. As the inaugural Culinary Ambassador of Thai Cuisine, a title and role entrusted to him by the Royal Thai Consul-General, Jet’s repertoire stretches far and wide. Along with a host of accolades and achievements, Jet’s television career is vast and includes being the new floor reporter on Iron Chef America, Parts Unknown with Anthony Bourdain, Chopped, Cutthroat Kitchen, Beat Bobby Flay, Guy’s Grocery Games, and The Today Show. Jet is a “Dream of Los Angeles” award recipient, a distinction given out annually by the Mayor of Los Angeles. Jet has also partnered with the Wynn Resorts to open Wazuzu, a groundbreaking take on Pan-Asian dining, at the Encore Casino and Resort on the Las Vegas Strip. Jet has also inspired and cultivated multiple concepts in partnership with the largest foodservice company in the world, Compass Group. In order to build a foundation for his passion, Jet attended and completed his culinary education at Le Cordon Bleu, establishing a framework of classical French technique to elevate his extensive knowledge of Asian cooking, and allowing him to more fluidly articulate his artistic capabilities and vision. Along with his education at Le Cordon Bleu, Jet also completed an intensive study program at the California Sushi Academy. Predominantly cooking within Thai and Chinese cuisines, Jet’s cooking overall represents the neighborhood he grew up in LA. Jet published the award-winning book 101 Asian Dishes You Need to Cook Before You Die: Discover a New World of Flavors in Authentic Recipes. 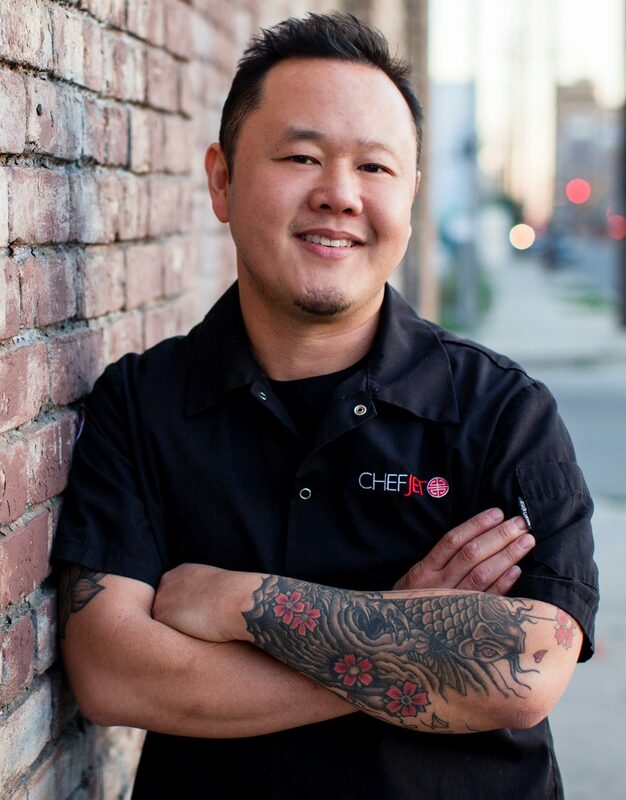 The book covers Jet’s experience of the chronology of culinary tradition and its rediscovery in his journey from a kid growing up in L.A. in a Thai and Chinese family to a prominent chef and restaurant owner.